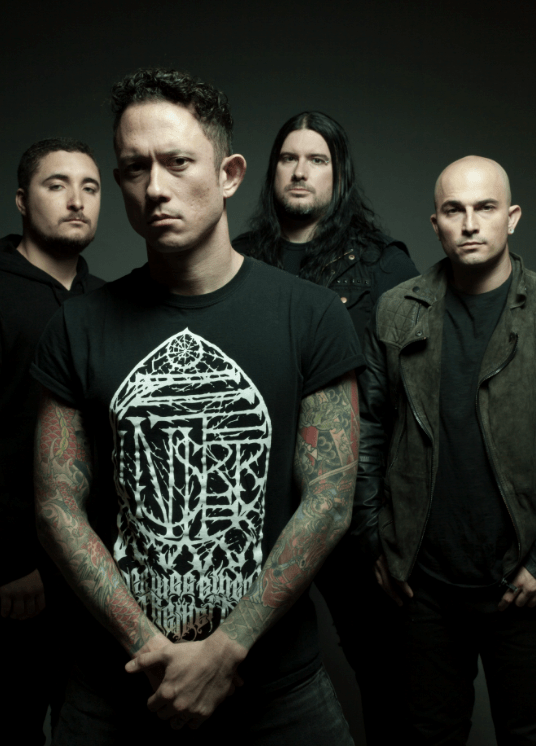 Trivium catapulted into the first ranks of modern metal with 2004’s Roadrunner debut, ASCENDANCY, which was named “Album of the Year” by Kerrang! 2006’s THE CRUSADE incorporated new melodic colors into the band’s sound, resulting in widespread critical applause and a top 25 Billboard 200 debut. SHOGUN followed two years later and received even greater acclaim and chart success, including a #1 debut on the UK’s Rock Albums Chart. In 2011, IN WAVES hit #1 on Billboard’s “Hard Rock Albums,” not to mention a stunning top 15 debut on the overall Billboard 200. Two years later, VENGEANCE FALLS arrived at #2 on Billboard‘s “Hard Rock Albums” chart. VENGEANCE FALLS went on to make the Top 10 charts in Australia and Germany, representing some of band’s highest international chart debuts to date.